Every year on Black Friday, stores open earlier and earlier. First kicking off at 6 a.m. Friday and now starting at 4 p.m. Thursday, sales have gradually been pushed back to Thanksgiving Day itself. The move, part of the phenomenon known as holiday creep, has been decried as unfair to workers, detrimental to the family and an example of consumerism gone too far. And in some parts of the country, even the law agrees. In Maine, Massachusetts and Rhode Island, remnants of colonial morality codes ensure that stores stay closed through Thanksgiving Day. In these New England states, shoppers have to wait for the clock to strike 12:01 a.m. Friday to partake in the earliest Black Friday sales of the season. The bans, borne of a Puritan past, offer employees of the states a day off from the shopping bonanza and have been met with mixed reactions from consumers and businesses alike. New England’s bans on stores opening their doors on Thanksgiving are part of a wider American tradition known as blue laws. Tracing their history back to the country’s colonial past, blue laws circumscribe acceptable behavior on Sundays and some holidays and can be found across the country – even though only Maine, Massachusetts and Rhode Island forbid shopping on Thanksgiving. Laws in the three states are similar, although the details vary slightly. In Massachusetts, the ban on Thanksgiving openings applies to retail stores, with exceptions for food stores as well as businesses that have fewer than three employees working at a time. Businesses that break the law are fined at least $1,000 per violation, and in 2005, then Attorney General Thomas F. Reilly threatened to also file criminal charges against violators. Instead of opening on Thanksgiving, major retailers in Massachusetts are opening their doors in the wee hours of the morning: Macy’s kicks off its Black Friday sale at 12:30 a.m., Target is opening at 1 a.m. and Walmart is opting for a 4 a.m. start. Rhode Island’s blue laws allow for flower shops, pharmacies and small grocery stores to remain open on Thanksgiving, while major retailers must wait until after midnight to kick off their sales. Major retailers Best Buy, JCPenney, Kmart, Kohl’s, Macy’s, Sears, Target, Toys R Us and Walmart all opened between midnight Thursday and 1 a.m. Friday last year. Blue laws can be traced back to the United States’ Protestant roots. Established by Puritan communities in the 1600s to enforce appropriate religious conduct on Sundays, these laws have also served to encourage familial relationships, restrict excess in consumption and clothing and control public behavior. The first blue law, enacted in 1617 in Virginia, made church attendance mandatory and even compelled militias to enforce it. Other examples of the laws that have continued through the 20th and 21st centuries have included bans on car and alcohol sales on the Christian Sabbath. In the 17th century, Christmas was among the celebrations banned by the first blue laws, since the holiday is not mentioned in the Bible. As the years passed, blue laws adjusted to the evolving religious sensibilities, and, with the rise in popularity of Christmas, it too became included as a day to abstain from some activities under some blue law protections, along with Thanksgiving. Although blue laws were first enacted by Puritan colonists, they continued into the 19th century, introduced to new states by the pioneers. You can find a variety of blue laws – past and present – in more than half of the 50 states, stretching from Connecticut to Utah to Arizona and Texas. Recent decades have seen the overturn of many laws. In 1982, the Arkansas Supreme Court ruled that the state’s blue laws were unconstitutional. Arizona repealed its ban on Sunday alcohol sales in 2010, the same year Indiana changed its law to permit carry-out alcohol sales. One of the last strongholds of blue laws, Bergen County in New Jersey, forbids the sale of apparel, furniture, appliances, building materials, lumber supplies, and home and office furnishings on Sundays. (Thanksgiving sales, however, are not covered under the law.) Although the law has been challenged by referendums, citizens have repeatedly voted to uphold it, citing the decrease in traffic and ensuing peace and quiet. In Maine, Massachusetts and Rhode Island, not everyone is in favor of banning retail sales on Thanksgiving. Blue laws have been criticized for hurting state economies, cutting into the earning potential of businesses and restricting consumer opportunities. Residents of small states may simply drive across state lines to do their Thanksgiving shopping unfettered by blue laws. Alternatively, consumers may spurn brick-and-mortar businesses altogether, turning instead to the Internet to make their purchases. As retailers scramble to meet their sales goals by the end of the year, an extra day in the holiday shopping season offers the potential for increased income – a benefit that Maine, Massachusetts and Rhode Island businesses will miss out on. For shoppers who may not have Black Friday off from work, the ban means they may have to forgo in-store doorbuster deals they could have grabbed during Thursday sales. Despite the push back and nationwide trend towards earlier hours, Thanksgiving closings have stayed strong in New England. “We haven’t really been under pressure to change the laws here,” Jon B. Hurst, president of the Retailers Association of Massachusetts, told the Huffington Post. For consumers, the ban allows an opportunity to stay at home with their families without having to face the pressure of the holiday creep. Retail employees, too, can enjoy the holiday instead of working overtime. 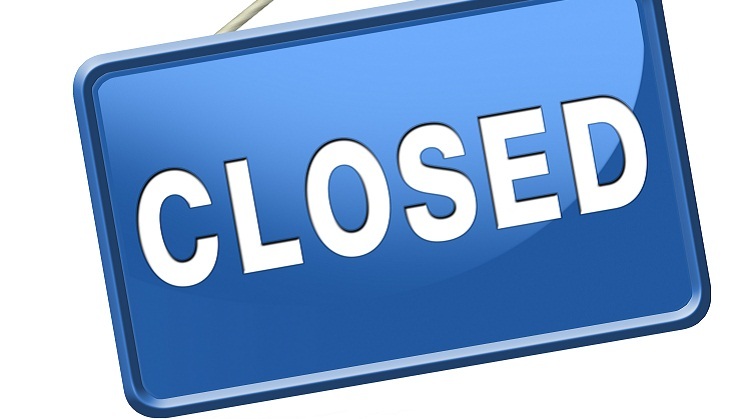 While not all retailers jump at the chance to open their doors a day later than stores in other states, some business owners cite operating and labor costs as a reason to stay closed on holidays. These stores are in good company: Over a dozen stores around the country won’t open their doors until Friday, even in states that permit Thursday sales. Want to find out when stores will open this Black Friday? Check out our list of nationwide store hours for 2014.